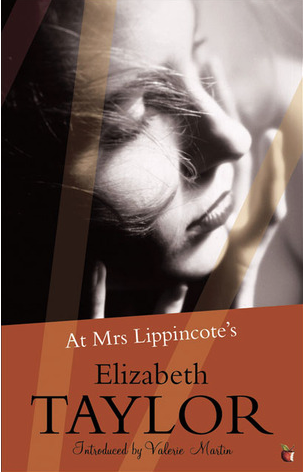 Published in 1945, At Mrs Lippincote’s was Elizabeth Taylor’s first novel. It’s my fourth Elizabeth Taylor novel and while it’s not my favourite, I liked it a great deal. It’s as sharp and witty as the others and a subtle exploration of truth and hypocrisy in wartime England, a time when the English society and its conventions changed rapidly. At the heart of the novel is the story of a marriage in dissolution. Julia and Roddy Davenant, and their son, live at the house of a widow, Mrs Lippincote. Her house is a stuffy house, filled with mahogany furniture. Roddy, who is in the RAF, was stationed in London before. His superior sent him to the countryside, hoping it would help save his marriage. Julia had a strange gift of coming to a situation freshly, peculiarly untarnished by preconceived ideas, whether of her own preconception or the world’s. Could she have taken for granted a few of those generalisations invented by men and largely acquiesced in by women (that women live by their hearts, men by their heads, that love is a woman’s whole existence, and especially that sons should respect their fathers), she would have eased her own life and other people’s. Julia spends most of the time alone with her son or walking the small town at night, on her own, while her husband pretends he’s at his club. These nightly walks, more even than the way she expresses herself, shock her husband as they show an independence he doesn’t care for. He, who is anything but a model husband, hides his own shortcomings behind his hypocritical outrage. Her outings are quite harmless, although people start to talk because she’s visiting a man. Mr Taylor is someone they once knew in London. He’s the most tragic figure in this novel. He was the manager of an elegant restaurant in London but he has lost everything. His restaurant, his home, and his health. He is now the owner of a shabby pub. He and Julia are possibly the only really honest people in this novel. All around them people seem to be pretending: that they have a better status than they really have; that they are faithful and morally superior or that they aren’t afraid of anything. “Bombed out” is a phrase the world was now used to. “But you were lucky,” people would say, “not to have been sleeping there.” “No one was hurt,” he would say. It was like a game of tennis, that sort of conversation: the ball went back and forth but no one was really involved, the expected replies were dealt and after the game had been kept up for a while, the other side tired, and feeling it had done well, changed the subject. But the truth had not been spoken. Had he suddenly said: “My life ended just he same, whether I was killed or not. This that I have now means nothing to me and has no value,” they would still not have understood. Like in all of Elizabeth Taylor’s books, the best parts are the characterisations. She shows us people and their foibles and follies. There are some great, eccentric characters in this book. Elizabeth Taylor is always astute and unmasks her character’s with her sharp mind. In this novel she unmasks a whole society and era – wartime England and all the small and big lies people tell themselves and each other. I think her subtle description of the mentality of the time – this clinging to the old conventions – the fear of the new – the stress of the war – is stunning. It’s what makes this a truly remarkable book. She’s amazing, right? Very dry humour indeed. And so sharp. I get it. Some books are too close to home and better left for another day. Lovely review! I’ve read a couple of Elizabeth Taylor’s novels now, and have been stock-piling them whenever I see them secondhand. I haven’t yet come across this one but I’ll certainly keep my eye out for it. As you quite rightly point out, her characterisation is so keenly observed, and her wit, as dry as a bone – wonderful! Thanks, Sarah. I hope you’ll find it in a second hand shop. It’s great to see where she started. I’m stock-piling her books as well. I’m glad I have two unread one waiting for me. I liked it, and if you were reading it as it is (i.e. her first) you’d think it a pretty decent effort. I’d actually forgotten all about the tragic maître d’. Thanks for reminding me. The effect of all the “manners” and propriety is to make the adults seem extremely child-like, I think. It’s a surprising first novel. Everything she refined in later works is already there. Mr Taylor us such a tragic figure. I wonder why she gave him her name. That’s really a coincidence. I’m sure you’ll write about Eleanor. The dynamic is interesting. I somehow skipped her. Not sure why. I think she annoyed me a bit. I’m looking forward to see what aspects stood out fir you. Yes, I preferred Julia! In a way it’s like the other Taylors I’ve read as there’s so much happening on the periphery – in other words, lots to discuss. I love your commentary on Mr Taylor. Thanks, Jacqui. He’s so tragic and honest. I’d say in terms of plot it’s not as well developed as some later novels but the observations and characterizations are there already. Lovely review. I have read this twice – I think I liked it even more the second time. I’m so glad you’re enjoying reading Elizabeth Taylor she’s a big favourite of mine. Thanks, Ali. I love her. I’m not surprised that you do too. She never disappoints. In many ways this is one if the subtlest, so I can see why you liked it even more the second time. It’s very complex. I’m already looking forward too the next. I really like this author too and am surprised she’s not more famous. Thanks for the reminder, because I do enjoy novels set in wartime England. On the cover of the book it says something about her being one of the most underrated novelists. I think her name doesn’t help. I think you’d like this one. It’s particularly great at showing the effect of the war on people even when they weren’t in London and constantly bombed. I’ve read a few Elizabeth Taylor novels but not this one. Divorce in those days was not easy to get and still considered in bad taste. Yes, it was. They don’t really get as far as discussing divorce. They still hope they can save their marriage. These Elizabeth Taylor books sound so good. As you mention the characters seem intriguing and so well constructed. I really want to read her work. Super review as always Caroline. Thanks, Brian. I hope you’ll read her. I’m sure you’d find a lot to admire. Like you, I’ve read four of Taylor’s novels, though not this one. I love the sense of decay which permeates them. That sense is very strong in this one. The way the house is described, the people. Lovely review. I still haven’t decided which Taylor to try next (after Mrs Palfrey). This might not be a bad one since it sounds like it’s good but not her best. Is that fair? I’ll be interested to see your thoughts on Feral which I see you’re reading. Also, did you see that The Loney won a first book award recently? Yes, that’s fair. Good but not her best. It might be a good choice. I’ll probably read Angel next. I only just started Feral. It might take a while. I saw that The Lon ey won an award. The writing is very good and it has somethimg very old-fashioned, a bit M.R. James, so I get it. I’ve finished it and hope to reveiw it soon. Good but not easy. I found it very sad. It’s terrific. All of her books are. Have you read Mrs Palfrey at the Claremont? It’s one of her best. That’s what I thought. I would start with Mrs Palfrey. This one is excellent but in a “paler” way, if you know what I mean. If like me, you like one, you’re goung to read all of them anyway sooner or later. And thanks for the kind words. Where are my manners this morning . . . Wonderful review, Caroline! Julia and Mr Taylor sound like wonderful characters. I haven’t read an Elizabeth Taylor book yet. Hopefully I will do it one of these days. Thanks, for saying this, Vishy. She’s an author you’d enjoy, I’m sure of it. Maybe this one isn’t the best to start with. On the other hand, sometimes it’s nice to read books chronologically. I’m looking forward to finding out which one you’ll choose. Wasn’t this a great book?! I read one of her story collections earlier this year and loved it–would happily moved on to another of her story collections and I still might. I have loved everything I have read by her! Reading your post makes me want to pick it up again! She’s such an amazing writer and never disappoints. I agree. I made a mistake and bought her collected shot stories and now I can hardly hold that book. I’ll read it anyway, only not as quickly. I have that collected stories edition just because I could not resist, but I already had all (or nearly all) the individual collections, so I have been reading those–yes, much easier to handle and carry about. I don’t think she wrote a bad book! I don’t think so either. Yes, it’s a huge book.